HABIT: Long-lasting summer flowers in several colors, including purple, orange, and off white. Likes hot weather and well drained soil. Plant after risk of frost. 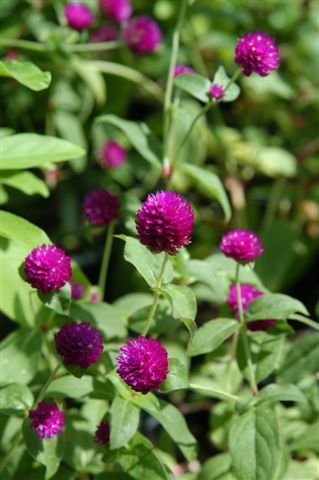 Can be planted as late as midsummer for color through fall. CULTURE: Easy summer annual to grow, but responds well to healthy beds. USES: Annual color. Cut flowers can be dried and will last all winter.